Carlson, S.E., Cheatham, C.L., Colombo, J., Carlson, S.E. (2017). Long-chain polyunsaturated fatty acids in the developing brain. In Polin, Abman, Rowitch, Benitz, & Fox (Eds. 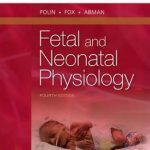 ), Fetal and Neonatal Physiology, 5th Ed. (pp. 380-389), Philadelphia, PA: Elsevier. Cheatham, C.L., Colombo, J., Carlson, S.E. (2011). Long-chain fatty acids in the developing retina and brain. In Polin, Fox, & Abman (Eds. ), Fetal and Neonatal Physiology (pp 497-508), Philadelphia, PA: Elsevier. Cheatham, C.L., Larkina, M., Bauer, P.J., Toth, S., Cicchetti, D. (2010). Declarative memory in abused and neglected infants. In P.J. Bauer (Ed. 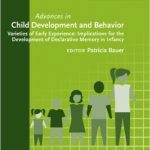 ), Advances in Child Development and Behavior, Volume 38 - Varieties of Early Experience: Implications for the Development of Declarative Memory in Infancy (pp 161-182). London, U.K.: Elsevier. Cheatham, C.L., Sesma, H.W., & Georgieff, M.K. (2010). 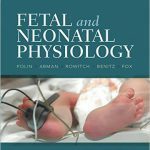 The development of declarative memory in infants born preterm. In P.J. Bauer (Ed. ), Advances in Child Development and Behavior, Volume 38 - Varieties of Early Experience: Implications for the Development of Declarative Memory in Infancy (pp 111-135). London, U.K.: Elsevier. Colombo, J. & Cheatham, C.L. (2006). The emergence and basis of endogenous attention in infancy and early childhood. In R. Kail (Ed. 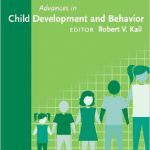 ), Advances in Child Development and Behavior, Volume 34 (pp 283-322). Oxford: Academic Press. DOI: 10.1016/S0065-2407(06)80010-8.